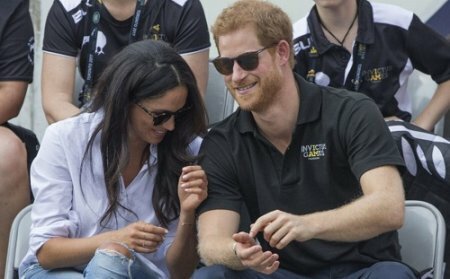 British royal Prince Harry and American actress Meghan Markle announced their engagement yesterday. The royal wedding is set for next spring. Markle’s mother Doria calls her Flower, but her other nicknames are Meg, Nutmeg, MM, and M&M. Meghan is a self confessed food lover and keen chef. She’s also a fan of hot sauce and revealed: “I love a kick to my food”. The Suits actress is close friends with designer Misha Nonoo who was married to Alexander Gilkes, one of Harry’s old school friends. Markle had a job at the US Embassy in Buenos Aires after graduating and perfected her Argentinian Spanish. Markle has two rescue dogs – Guy and Bogart – who she says “mean the absolute world” to her.